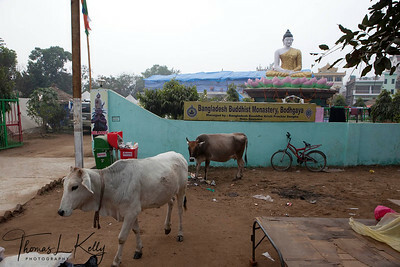 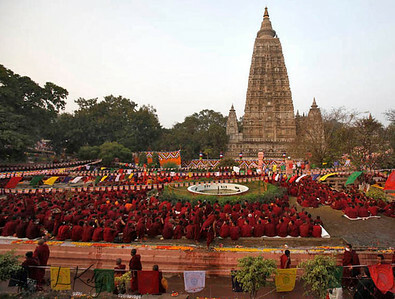 Tens of thousands of Buddhist pilgrims from around the world traveled to Bodhgaya, a town in northern India, to hear exiled Tibetan spiritual leader the Dalai Lama give the "Kalachakra" religious teachings. 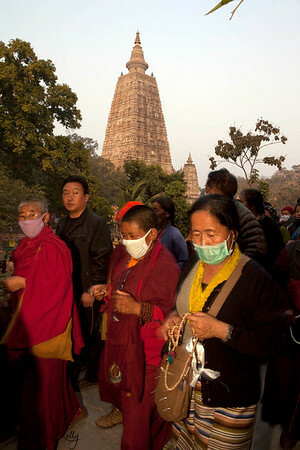 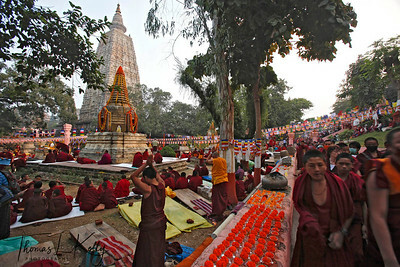 Buddhist pilgrims at the Mahabodhi Temple. 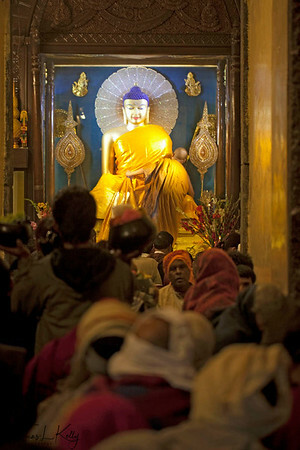 Young monks sit inside wall niche of Maha Bodhi Temple complex and pilgrims make money while circumambulating the temple. 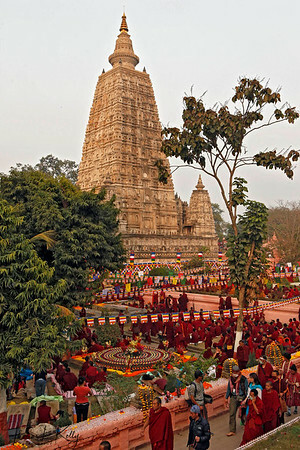 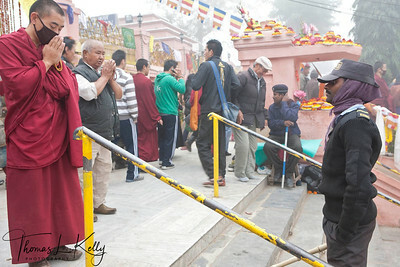 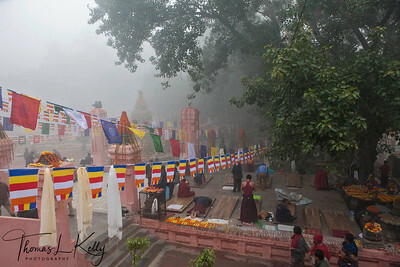 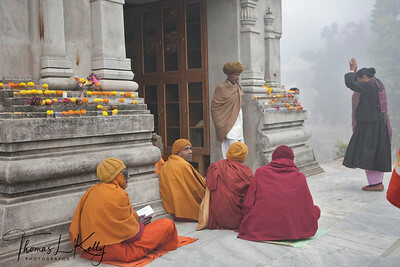 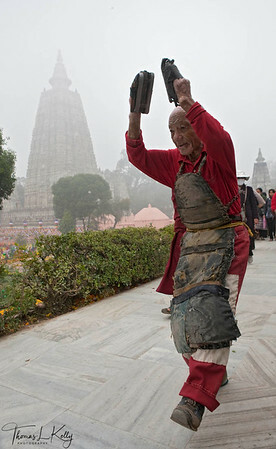 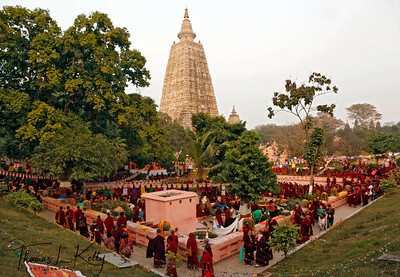 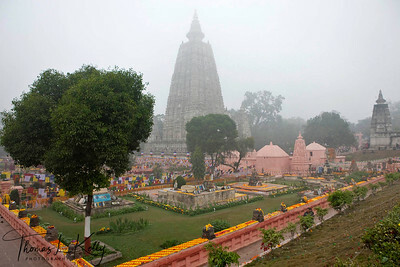 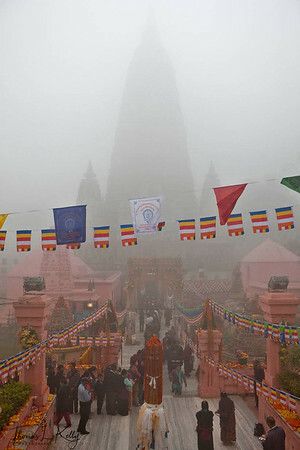 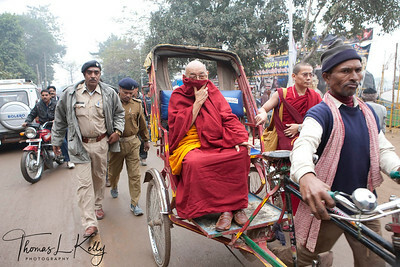 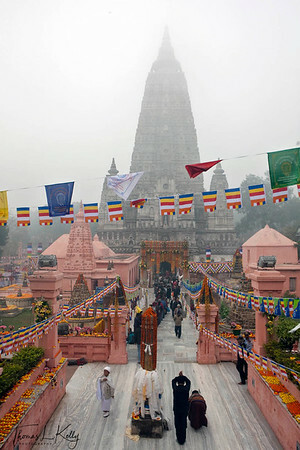 Kalachakra Initiation in Bodhgaya, India. 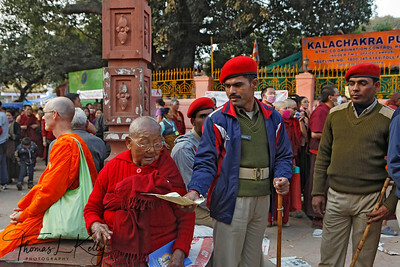 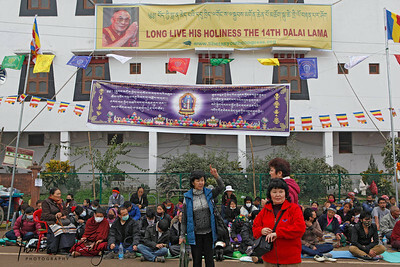 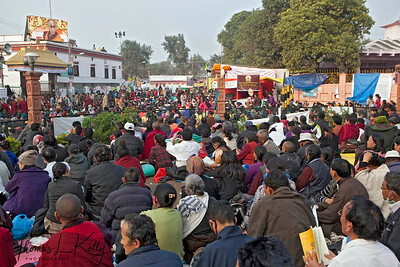 Tens of thousands of Buddhist pilgrims from around the world traveled to Bodhgaya, a town in Northern India, to hear exiled Tibetan Spiritual leader HH Dalai Lama give the Kalachakra-religious teachings. 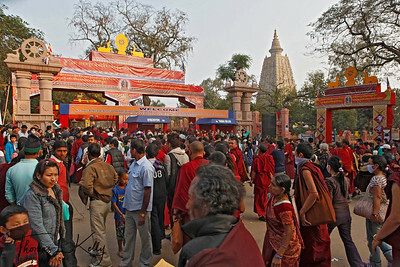 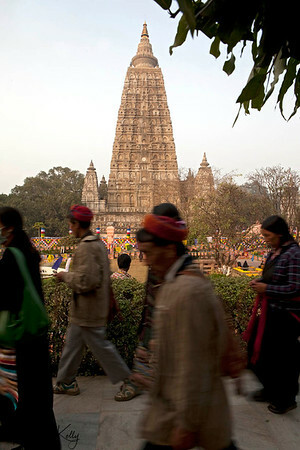 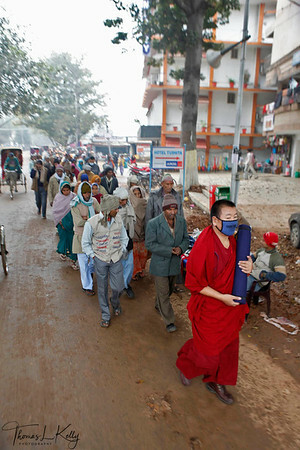 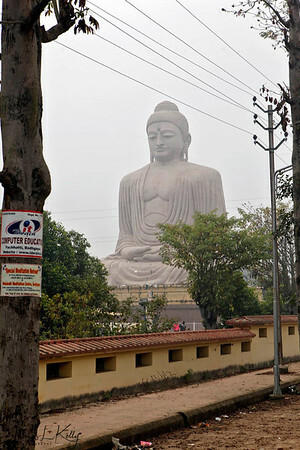 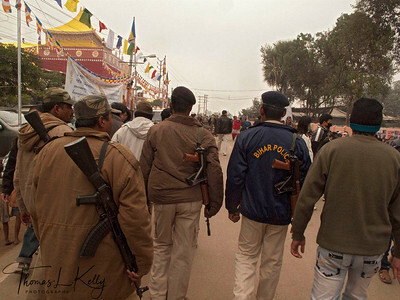 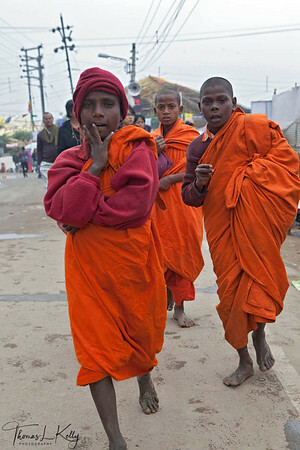 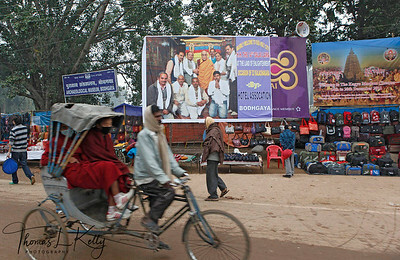 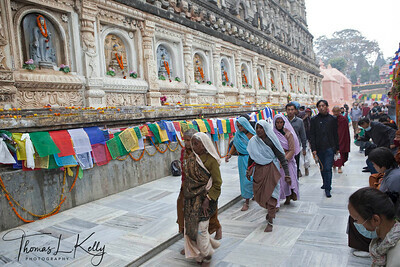 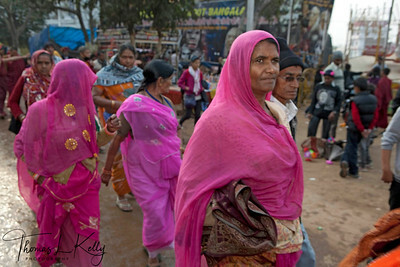 Pilgrims walk to the main temple in Bodhgaya.